Greetings! I have attached a picture of "Oompa's Girl" at its very first launching. 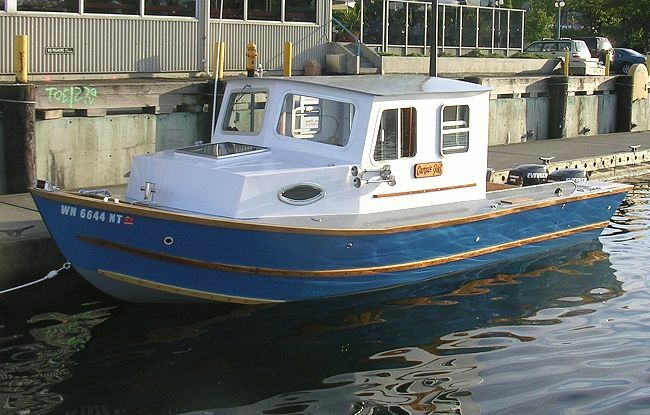 As you can see, the hull is a v-dory, but the cabin is a mismatch of your ideas plus some of my own. I recently got back from a long trip in Puget Sound and it performed WONDERFULLY!! Everyone comments on how comfortable and how stable it is to ride in. I have twin 50 HP Evinrude ETEC engines, and at 5500 RPM, it scoots along at 30 MPH (in very calm water) and cruises at 15-20 mph. 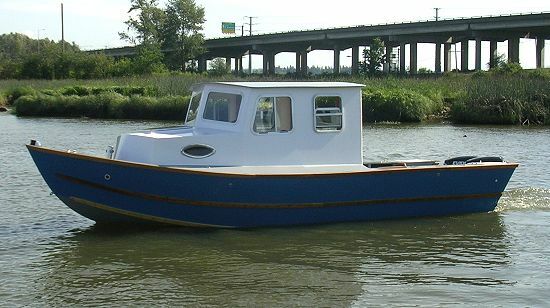 In regards to your request for pictures, here is a picture of the boat I completed year ago.